MarketLine Company Mergers & Acquisitions (M&A), Partnerships & Alliances and Investments reports offer a comprehensive breakdown of the organic and inorganic growth activity undertaken by an organization to sustain its competitive advantage. MarketLine tracks 50,000+ mergers & acquisition deals annually containing information on deal type, rationale, deal values, decision makers and influencers. The industry reports are great for an overview of the landscape, is the market increasing, decreasing, and what do I need to know before talking to a client or prospect. 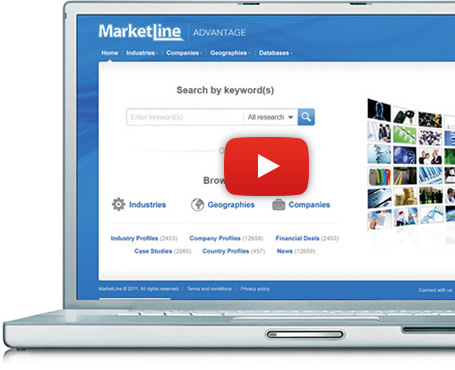 Marketline’s research was useful in helping us provide industry insight to our clients. Marketline’s researchers were extremely helpful and efficient in providing me with the raw data. If you have discount code, please use it on the next page to make a saving. Contact us for corporate / multi-user subscriptions. Stay informed of the latest developments affecting the organizations on your radar with our news alerting service. Form a clear picture of individual market sectors, including who is operating within them and how they are performing. Analyse the business landscape in 110 countries with insight into strengths, challenges and prospects. Scan and compare over half a million data points for 215 countries and 46 political and geographic groupings.